Tranquility Base: Curiosity Landed!! In one piece!! Curiosity Landed!! In one piece!! YAY!!!!!!! Happy birthday, Neil Armstrong! You got an extra-nice present this year: a new rover safely set down on the surface of Mars! 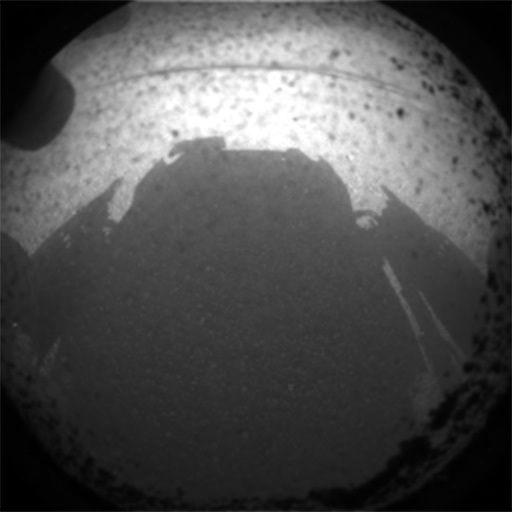 Curiosity's first photo on Mars!! The boyfriend and I watched the landing footage at the Adler Planetarium tonight. It was a packed house! Two full auditoriums, plus an overflow room. It's exciting to see folks so interested in this mission! My view of the landing! It takes roughly 14 minutes for radio signals to travel from Mars to Earth. So for me the spookiest part of the evening came 14 minutes before the landing was announced. At that point, hundreds of millions of miles away, Curiosity was already down on the ground, for better or worse. But we wouldn't find out how the landing went for 14 more minutes. I was so nervous... even more so when NASA Associate Administrator John Grunsfeld started acting super confident about 10 minutes before the landing was confirmed. He was announcing that everything was going to go great and we were headed for a perfect landing! Come on, buddy, don't jinx it! 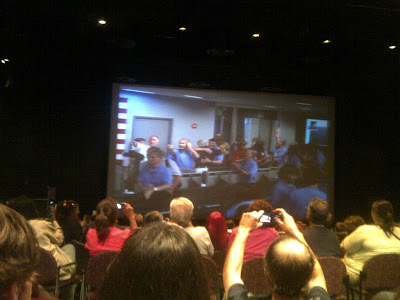 My very amateur video of the reaction at JPL and and at Adler Planetarium! However, it turns out he was right- it was a flawless landing!! Calm weather on Mars, a completely error-free performance by Curiosity, and even the Odyssey orbiter cooperated in uploading data from Curiosity to Earth, so we were able to get confirmation right away! YAY, Curiosity, NASA, and JPL! Sources: NASA, JPL, Mars, Adler Planetarium, and that amazing lil rover! Thank you guys!! :-) Thanks Paulina!! Yours is the very first comment on my blog! Yay!! !